We all need to design presentations and the most common software you use is either PowerPoint (Know as PPT) or Keynote by apple. You spend hours editing the templates and still are not able to create an impression on your audience. 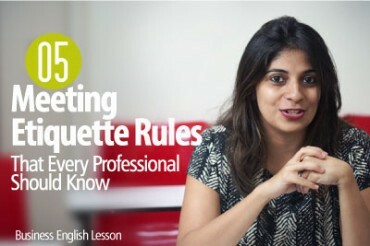 In this Skillopedia video with Meera, learn how to design awesome presentation slides that make your audience say AWW!!. Learn some great design tips on Using the correct fonts and colours, the structure of your template and finish designing your presentation under 10 minutes. Look at what Meera uses to design her presentation in the shortest possible time, leaving her more time to focus on the content that goes in the presentation. 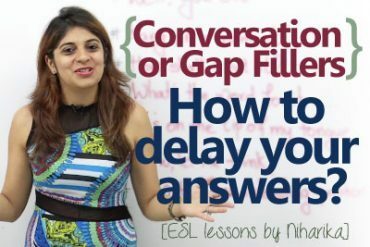 You are watching this video on Skillopedia, part of Let’s Talk Institute for Personality Development and self improvement. We have hundreds of videos to develop good communication skills, inter personal skills, personal growth, motivation skills, inspirational tips to develop self-confidence. 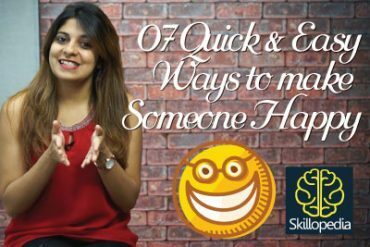 Skillopedia is a well known name in the corporate training segment in Mumbai to deliver best personality development course for corporate employees and individuals. Hey everybody, welcome back to Skillopedia and you are with me Meera. Well guys there is something that is common between all of us, as in students even if probably you’re interns or you’re a manager or you’re just you know a businessman who is trying to reach out in, on any position, as long as you’re working, the one thing in common with all of us is presentations. Well we are required in this day and age to give performances in and presentations in such a way that it just clicks with the people sitting in front of us. But guys over a period of time all of us have sat through really boring long presentations which just end up losing their main focal point, right? Well what I really think is, if your presentations and if your slides rock, your presentation just pops to life, you know and people connect with the information that you’re trying to provide. So let me ask you this, what is the difference between a good presentation and a bad or a poor presentation? It’s the content and the design. Well in today’s lesson we are going to learn certain tips that will help you produce a presentation with the best possible content and design, so that you can get your point across and in the best possible way. Well are you ready to learn tips for effective presentation, then let’s get started guys. All right guys, so whenever we start making our presentations either we will make it on keynote by Apple or PowerPoint, am I right? Well now they come with their own limitations, for example if I’m making on PowerPoint then I will not be able to view it on keynote and vice versa, right? And second of all they have limited templates, right? So if you want to explore a little bit around you will probably not have that on these softwares. So I might, I have to do these presentations so I was scrolling through and I found a place called ‘slidebean’. So guys I have been recently using slidebean for my presentations and I thought I should share it with you. The way it looks in the first go itself it’s just beautiful, simple you know, they have super easy steps and it’s just super easy to even do a setup, with just one click you can explore and experiment with so many designs and combinations. The best part is you can track and you can share your presentations as well. So if you could just go to see the templates, they have so many templates that they have shown. Now just try to explore a little bit and then you would see that there are so professional-looking in the first go and then you would know, let’s just open one and just see, see the way that, even the first page looks like, you go ahead, it’s so professional, the images that they have used, the way that they have used their bullet points and the way they have explained their things. Now all you have to do is just try and change whatever you need to change with your bullet points, with your images and this is how the designing will work for you. I think everything including the way, the complete look is extremely professional, all right? Now guys I am going to, I’ve already signed up, right? So if you haven’t signed up, you will sign up first. Well I have signed up so I’m going to sign into my account, well you can choose your Google, you can choose your Facebook, you can choose other sites that they have provided. Well make sure that you just try and explore different templates first, okay just create new, see which template you can use and then you can just start. Now you have so many things that you can explore with, all right? Just keep browsing, start with whatever you feel like starting, now what you need to do is right, once you just go to preview just try to use one template, see how it works for you, the start of it, the way it started now the images, your team, all you have to do is guys just change your information, the design is there out for you, making your life so simple. Well just explore, right? Now I’ve already done that, let us just unlock the full experience and see what’s the, what’s the pricing like. Well if you can see now the starter which was just $96 a year, where, here you can actually create unlimited presentations you know. Then you have your basic content templates that you can use, collaborate with different people, share it, you have all your privacy settings so you don’t have to worry about people using your presentation. Present it online which is I think great. You have access to their media galleries so that you can use whatever you know images or something that you want to use from their gallery and then you can export it to your PDF or your HTML files. Well guys this software is really fabulous to start with, right? Now your starter package over here is $96/year. Well if you see it just goes up to $8 a month. Now since you guys are Skillopedia subscribers we have got a discount for you and the coupon which is mentioned in the description you can use that it’s a 10% discount for all of you guys out there. Upgrade it with the 10% discount and then you would see how immediately you have opened your gates to really, really amazing templates for your presentation and then it can make your life, in terms of presentation extremely effective. Although guys I mentioned that you know you have these hundreds of templates and you can design and combine and everything, but there are certain basic things that we must follow as far as and as long as a presentation is concerned and that’s what we’re going to talk about in this point. Well understand that you do not need to crowd your slide. Try and not write anything more than six lines, well because when people are paying attention to that one slide, you don’t want them to get confused you want them to space out their thoughts and focus on each, each space or each line that you’re writing. Well the key point over here is one slide should not have more than six lines. Try this rule out and just try and compare your, your eight points versus your six points, just two points of difference but it will make a huge difference at the end when you have to convey those points to the people. Now tell me guys, what is the most common font found anywhere, yeah? That’s Times New Roman. Well now I know the expression in your on your face, you’re already bored hearing the word Times New Roman. Now imagine the people listening to you or looking at your presentation, don’t you think they are bored looking at it? So here’s the thing, try the font ‘Sans Serif’ you need to just understand the typography and people’s psychology towards it, okay? Now San serif is very clean, very well-spaced out and it looks very neat. What happens is, people pay attention to such things very easily, right? They, you will have their focus when you require them to look at your slides. Well on the same note try and not use cursive or really fancy fonts because that’s not professional and that’s not meant for presentations. Greeting cards, you’re good to go but not presentations guys. So try and use anything along, along with or around sensory. Well guys we just spoke about the font, now let’s talk about the size of the font. Well the point is, all of us know that there is a title, subtitle and points. Well the thing is your subtitles or your titles need not be too big nor too small, it’s basic and it’s simple. You have to understand that it should be readable for the person who is sitting in the last row it should be large enough and the other points can be small enough which you are then going to explain, right? So try and spread your size of the font with the title and your points making sure that the person sitting towards the end of the row is able to read your form size, do not go too crazy on it such as one has to be too large, one is medium and the rest is smaller than that, right? Keep it simple and keep it clean, okay? Now guys you want your message to pop on the screen, right? Even if it’s a word, well here’s the thing, try and maintain a decent contrast, right with the background and the words written in front of the background, right? So if you have something, something of a lighter background make sure that the words that you’re, that you’re writing are darker so that they are visible, right? And vice versa goes the opposite way if you have a dark background then you must have something on a lighter shade so that people are able to see what you’re writing, now that is how the beauty of contrast can make one slide look really different and the message emerges in the right possible way. Well what happens sometimes with us is, we try and not balance the, you know, we end up not balancing the contrast and that is why there is certain transparency or with the words and the background it ends up merging into one another and that’s why people are not able to read your points clearly. So guys take care of your contrast and just see which one is more properly visible. Okay, I understand that sometimes we want to be creative and that’s why we might end up putting a lot of colors. So what you need to do is you need to just understand that we don’t need so many colors because it just ends up distracting people, what we need is a good palette and a choice of good color palette, okay? You can keep certain points or sections for certain colors and other colors for other section, the palette is important what you use on your slide. Well I think do not use more than five colors for the entire presentation. Try to use these five colors as your basic palette and then just keep playing with it. What will happen is people will not get too distracted because the palette is the same yet there will be something different on each slide or after a chunk of a certain point, right? So try not using more than five colors for your entire presentation and take good care of your color palette that you choose. Well now we all know that presentations are meant for your visual understanding and visual interest so, we all end up putting in a lot of images or we like putting in images don’t you think so? But the key over here is, that try not to use more than a single compelling image for one slide, well if there is, try and not combine it with a lot of words, maybe you can put images on one slide and talk about it instead of just crowding it with your words and then on the next slide you can just have no image at all but just that one single line or that one single word that explains the image, okay? Since I’m talking about the images, now all I want you to do is understand which is the closest and slowly get creative with it and not to use something that is too obvious sometimes, there has to be certain mystery and the message should also be equally direct when people are looking at your image, right? You don’t want people to get confused looking at the image and just think about the point that, ‘what is this exactly about?’ All right guys again for this point I really think if you go on ‘slidebean’ you will get a hang of what images can do and how you can play with the right image for your presentation. Well guys, I hope you liked today’s video and I hope that it was informative. What I want you to do is make effective presentations for yourself but what I don’t want you to do is, put in a lot of time just trying to design it and focusing on the design part of it rather than the information. Well guys with this is where I think ‘slidebean’ will really prove to be helpful because it’s very easy to operate and you would find that you are not wasting your time in designing it rather putting in good time to use to make it better. Well guys I hope that, the time that you save will help you reach your goals, whatever you want to achieve, any meeting that you want to crack, any job interview that you want to crack. All right guys, that’s all for the day, I hope you have liked today’s video, I will see you soon in another video, until then just keep practicing, keep smiling this is me, Meera saying ba-bye.